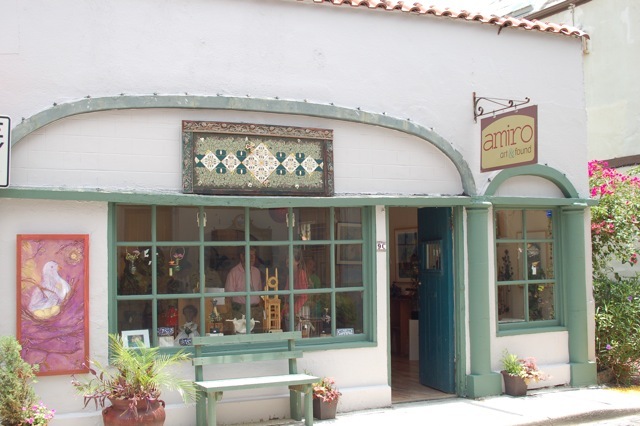 amiro art galleries: Fresh and Bright Again! Amiro has a new look! If you haven't strolled down Aviles Street lately then you haven't seen our new and improved storefront. With a fresh coat of paint and a new mosaic created by Wendy Mandel McDaniel over the window, we feel ten pounds lighter and look 20 years younger! Doesn't it make you want to walk right in and see what's new on the inside as well?